Apart from visiting the scenic spots, it’s also important for high-end travellers to experience the local leisure lifestyle, which involves shopping, food, hotels and sports. What else is worth buying apart from various luxuries? There are some local exquisite handcrafts shops or souvenir shops that common travelers won’t find. They are usually frequented by local people. If you have a chatty mouth or sharp eyes, you may find treasure while travelling. Eating is not an easy thing for travelers. 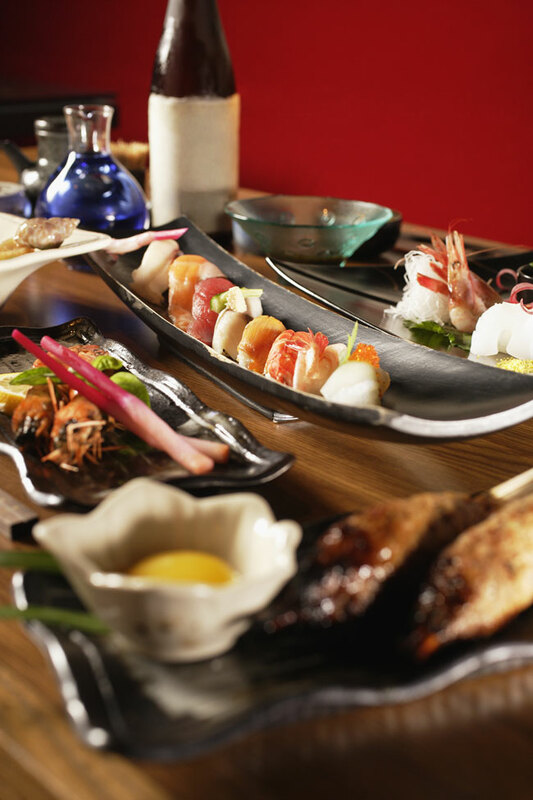 You may think twice before deciding to eat at a popular restaurant, because the long waiting queue will daunt you. You may ask your “neighbors” about authentic local food or find a local Michelin restaurant, they will certainly treat your stomach well. Hotel plays a vital role in premier trip. Now there’re lots of choices on hotels. For premier trip, the environment of the hotel and whether it is comfortable to stay are the most important criteria. The brand, concept, services and facilities of a hotel will all affect the trip. You will not know the truth of premier trip until you know how to enjoy the luxury hotels. 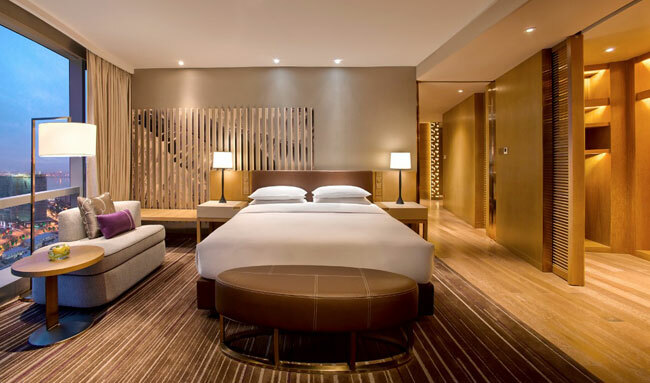 Located in the thriving heart of one China’s most historic cities – Suzhou, Hyatt Regency Suzhou provides business and leisure guests with contemporary comforts and the latest social hub. The city of Suzhou, known as the ‘Venice of China’, is renowned for its ancient canals, stone bridges and UNESCO-listed Chinese gardens. 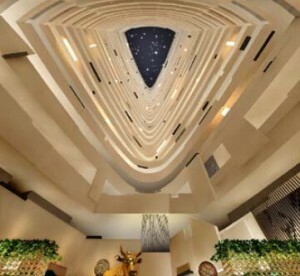 As the first Hyatt hotel in Jiangsu province, Hyatt Regency Suzhou is an inspiring address to connect, dine, meet, celebrate and relax in Suzhou. The hotel offers 355 spacious guestrooms and suites, including a Regency Club. There are five restaurants and lounges, 1,400 sqm of innovative meeting, event and wedding venues, plus the first Yue Spa in China. Hyatt Regency Suzhou is located in the Suzhou Industrial Park (SIP) at Jinghope Plaza, a new development comprising a luxury shopping mall, entertainment venues and two Grade-A offices. The Times Square subway station is at the hotel’s doorstep offering convenient access to the ancient city and Suzhou New District. Picturesque Jinji Lake, Suzhou Culture and Arts Centre, Suzhou International Expo Centre and the Ferris Wheel Park are just a short walk away. Hyatt Regency Suzhou is less than 10 minutes’ drive from Suzhou SIP Railway Station, which is a part of China’s high-speed rail network. 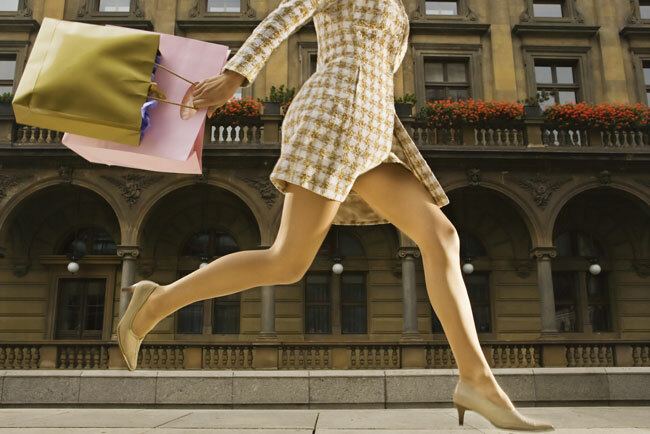 It takes just 25 minutes to reach Shanghai by train, and one hour by car to Shanghai Hongqiao International Airport. More information, please visit: www.hyattregency.com. At 2,400 meters above sea level on the Northwestern Yunnan Plateau lies the ancient capital of the Naxi Kingdom-Lijiang, one of the last places in China that an intrepid traveler may experience a historic culture harking back to the period of the Warring States. An intimate mountain town of stone and tiles, Lijiang is streaked with canals of natural spring water and houses a civilization as old as its wrinkled cobblestones. Overlooking the Lijiang Old Town 15 kilometers away is the Jade Dragon Snow Mountain. Known as the soul of Lijiang city and the Naxi tribe, this snow-covered mountain resembles a jade dragon lying in the clouds. Jade Dragon Snow Mountain is also called “Natural Glacier Museum” for its numerous types of glaciers. Laced with a dizzying array of canals and quaint bridges, this “Venice of the Orient” exemplifies the true meaning of “poetry in motion”. 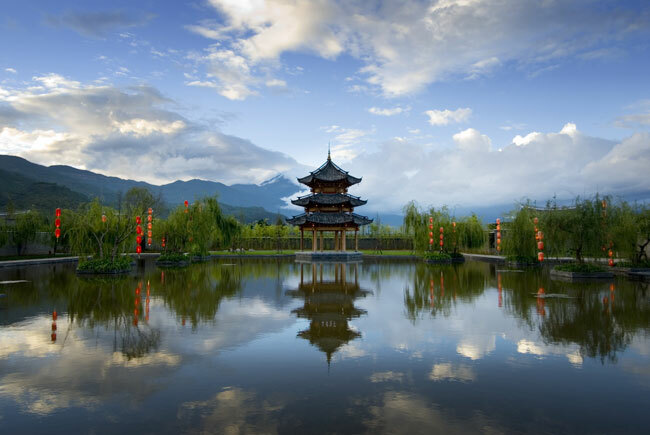 Banyan Tree Lijiang reflects the rich fabric of this well-preserved ancient city. Step into a majestic sojourn befitting the legacy of the legendary Naxi Kingdom. Pool Villa is MAG誌’s first recommendation. At the Pool Villa, savour the architectural intricacies of an ethnic Naxi household. Let your senses feast on regal interiors dressed splendidly in rich russet and gold tones as you soak in your superior bathtub of ebony marble. Outdoors, the heated plunge pool beckons for playtime in the shadows of the mighty mountains. Besides, there’re also Spa Suite, Garden Villa, Three-Bedroom Jet-Pool Villa and Presidential Pool Villa for you to choose.